Stroke is a group of diseases that affect the blood vessels that supply blood to the brain. Stroke is to the brain as a heart attack is to the heart and it is considered the leading cause of disability in adults and the third leading cause in the world. People older than 65 years have a 75% higher risk of suffering a stroke than the rest, although this trend is increasing due to life changes and unhealthy habits we have adopted and the figures oscilates 20% in people under 45 years. Loss of strength in the face, weakness in arms or legs on one side of the body, sudden onset. Sudden disorders of sensation, sensation of “tingling” in the face, arms and legs. Sudden loss of vision in one or both eyes, partial or total. Sudden alteration of speech, difficulty expressing ourselves, hard for us to articulate and be understood by the listener. Sudden, intense headache with no apparent cause. Sensation of intense vertigo, instability, imbalance or sudden unexplained falls, if accompanied by any of the symptoms described above. If you detect any of the symptoms described above, go to a hospital (if possible with a stroke unit) immediately. The first 3 hours are key: the faster you react, the more likely you are to recover, reduce the consequences and avoid death. Ictus can be prevented, although some risk factors we can´t avoid (such as age or family history), smoking, alcohol and drugs, hypertension, cholesterol, obesity and leading a sedentary lifestyle can be corrected and help avoid major problems. 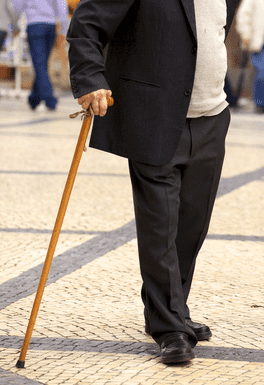 After suffering a stroke, a series of important functional abilities that directly influence the autonomy of people and their confidence to perform their daily life are lost. Social&Care is designed to reinforce your confidence and help you recover your autonomy gradually adapting your leisure to your new life, reminding you of what you have to do, the tasks and daily activities you did before and helping you if necessary. Besides, your family receives information about everything you do, creating a bond of trust. We collaborate with AIDA, Association of Ictus in Aragón, a non-profit association that since 2000 has been fighting against this disease and helping affected people and families. Its main mission is to group people who have suffered a stroke, inform of its importance, advice those affected and relatives, claim and fight for assistance, improve aid and help in rehabilitation.